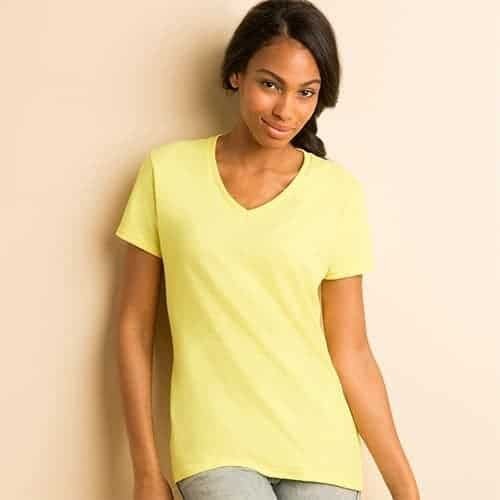 The Gildan 5V00L is the Classic V-Neck Heavy Cotton tee. Note: Heather colors are 50% cotton/50% polyester. Sport Grey is 90% cotton/10% polyester.